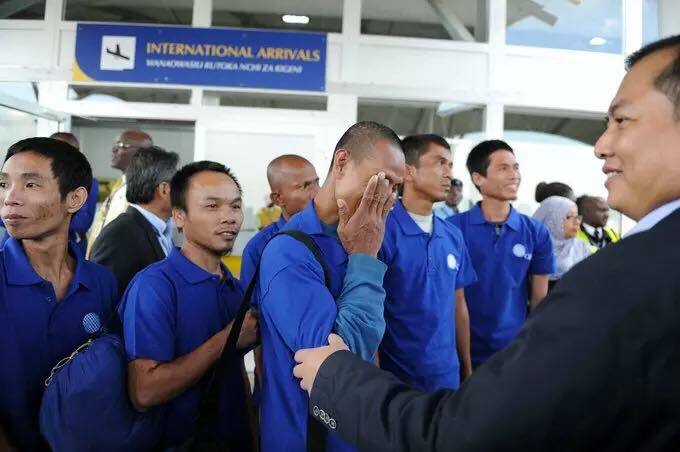 Somali pirates have released 26 hostages after nearly five years in captivity, according to an organization involved in mediation efforts. The dozens of hostages freed were in a ship hijacked south of the Seychelles in March 2012. They were freed on Saturday, reportedly after a ransom was paid. Of the 29 crew members seized, one died during the hijacking and two died from illness while in captivity, according to the organization, Oceans Beyond Piracy. The hostages were all men from Cambodia, China, Indonesia, the Philippines, Taiwan and Vietnam, it said. They were aboard the Omani-flagged fishing vessel Naham 3 when they were captured. One survivor, Filipino sailor Arnel Balbero, told BBC that they were also only given small amounts of water and felt like "the walking dead" by the end of their ordeal.